Accumulated literature on technology adoption research has suggested that cultural factors have important impacts on the cognition and behavior of information systems users. In this paper, the authors argue that cultural factors should be treated as aggregate characteristics at the population level instead of personal attributes at the individual level. The authors also propose that theoretical models could be developed for specific cultural contexts when examining IT/IS user behavior. In this regard, a model for analyzing user attitude toward mandatory use of information systems is proposed. Drawing on generally recognized cultural characteristics of China, three factors are introduced as determinants of user attitude—leader support, technology experience, and perceived fit. An empirical study is conducted with regard to the acceptance of a mobile municipal administration system in Beijing, China, for validating the proposed model with survey data and analyzing the adoption mechanism of the target system. The moderating roles of gender, age, and education level on the model are explored by interaction effect analyses and the findings provide helpful insights for related studies in other cultural contexts. 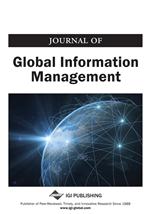 During the past two decades, the trends toward a globalized business environment have been accelerating and continuously affected companies by increasing the competitiveness of the marketplace, restructuring business relationships, re-defining organizational boundaries, and creating new challenges for managers who deal with multinational companies or international alliances (Friedman, 2005), especially when emerging technologies and applications featuring Web 2.0 started to bring the Internet and the world to a new era of social networks, ubiquitous computing, mobility, personalization, and virtualization in the past five years. Correspondingly, cultural issues have become an important topic in the study of the information systems area (Chau, Cole, Massey, Montoya-Weiss, & O'Keefe, 2002; Davison & Martinsons, 2003; Evaristo, 2003; Gallivan & Srite, 2005; Myers & Tan, 2003), particularly when user behavior in adoption, diffusion, and infusion of new technologies and systems is concerned (Chau, 2008). Accumulated literature on technology adoption research has suggested that cultural factors potentially have significant impacts on the perception and behavior of information systems users (Chau et al., 2002; Lippert & Volkmar, 2007; Mao & Palvia, 2006; Zhang, Guo, Chen, & Song, 2009). The cultural concepts incorporated in information systems research include not only organizational culture and societal culture, but also national culture and ethnic culture (Karahanna, Evaristo, & Srite, 2005). When national cultural issues are taken into account, Hofstede’s well-known five dimensions model (Hofstede, 2001) provides the most influential theoretical framework, which has been widely cited for cross-cultural studies in various areas (Davison & Martinsons, 2003; Ford, Connelly, & Meister, 2003; Gallivan & Srite, 2005; Myers & Tan, 2003). Although frequently criticized for the lack of practical feasibility and incompleteness of the dimensions (Baskerville, 2003; Myers & Tan, 2003; Straub, Loch, Evaristo, Karahanna, & Srite, 2002), Hofstede’s model has, to some extent, successfully consolidated a conceptual foundation for investigating cross-national differences in human and organizational behavior. In the research area of IT/IS adoption, when considering cultural factors, existing efforts either incorporated cultural interpretation in cross-national comparison (Lippert & Volkmar, 2007; e.g., Straub, Keil, & Brenner, 1997), or borrowed variables from classical culture theories for constructing user behavioral models(Huang, Lu, & Wong, 2003; Min, Li, & Ji, 2009; e.g., Srite, Thatcher, & Galy, 2008). Both of these two approaches have produced valuable theoretical and practical insights of significant relevance. Contrastively, however, few have tried to postulate theoretical models for specific cultural contexts when examining IT/IS user behavior, especially when Eastern nations, such as China, are concerned. By far, IT/IS adoption studies regarding Chinese users (e.g., Huang et al., 2003; Mao & Palvia, 2006) were mostly designed to analyze the special phenomena in China with Western theoretical frameworks, or to explain some unexpected empirical results with some Chinese cultural considerations. We believe that such a gap should not be ignored and it would be promising to construct or extend IT/IS user behavior models by introducing new factors originating in Eastern cultural values, so as to better reflect the IT/IS practice in these particular contexts.